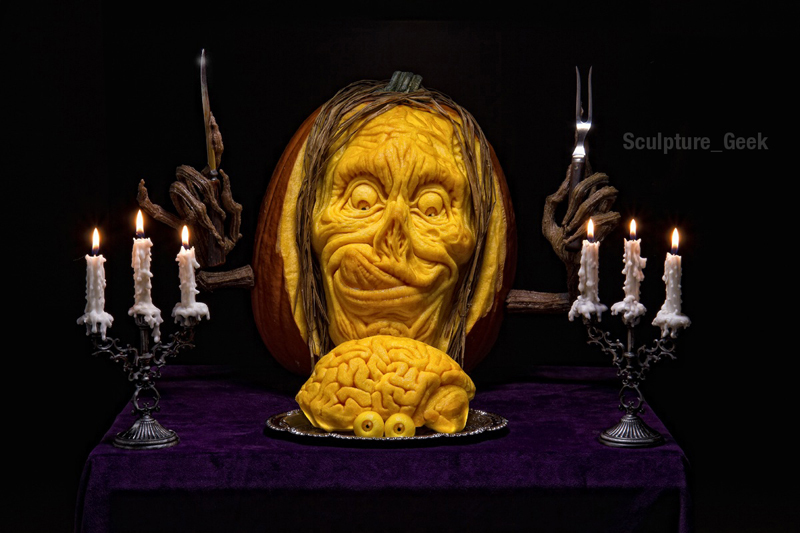 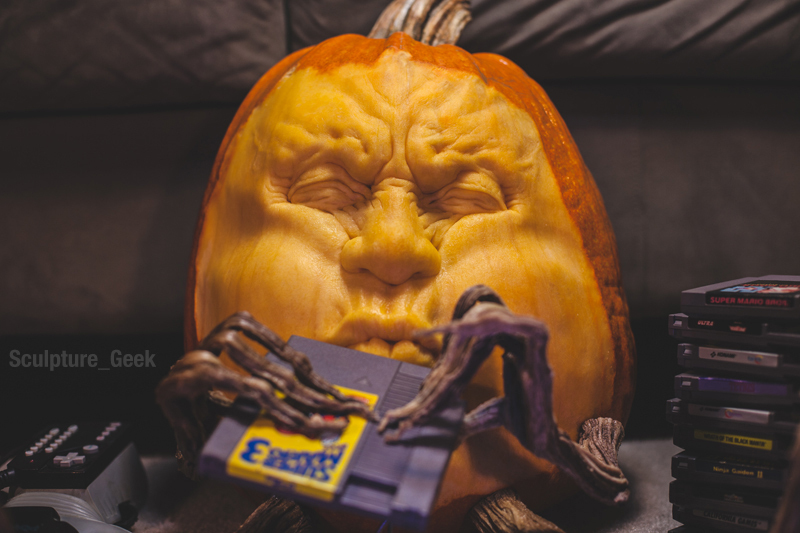 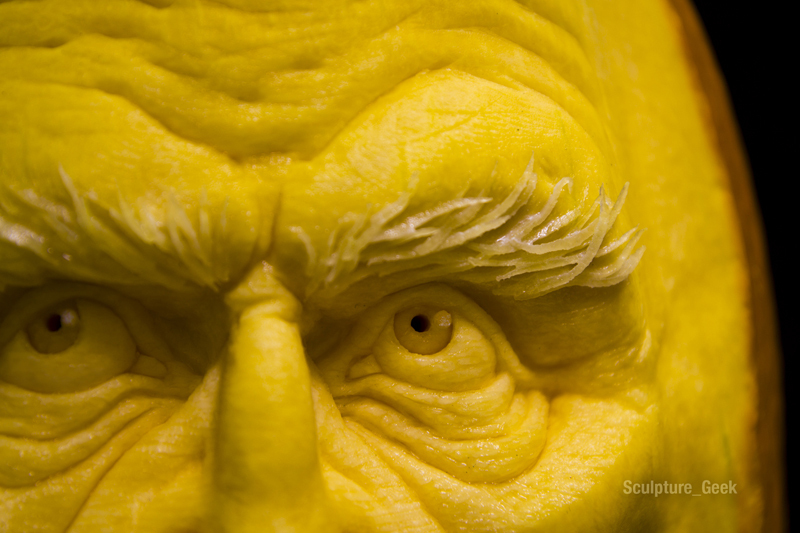 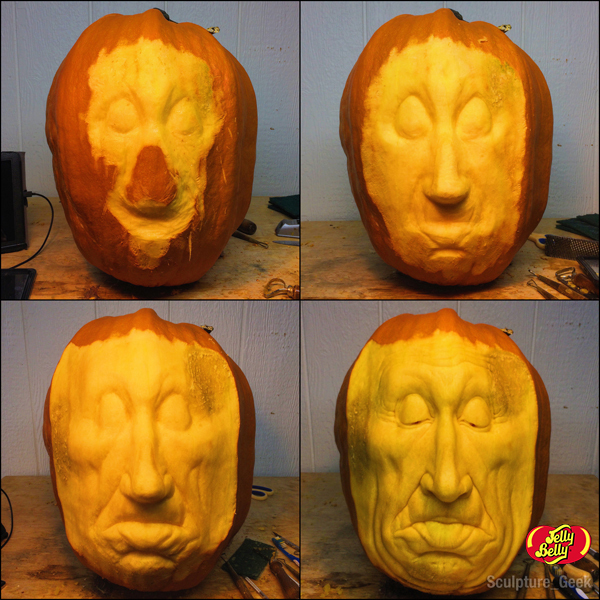 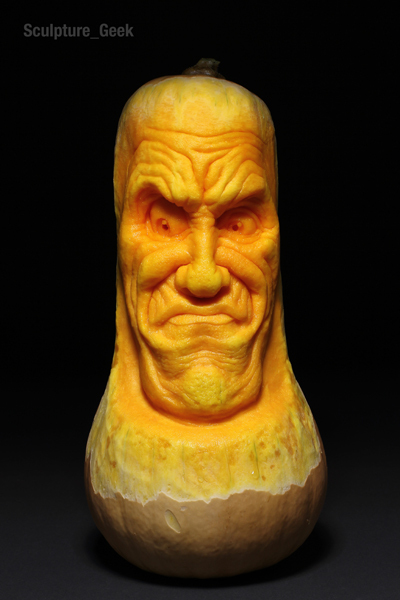 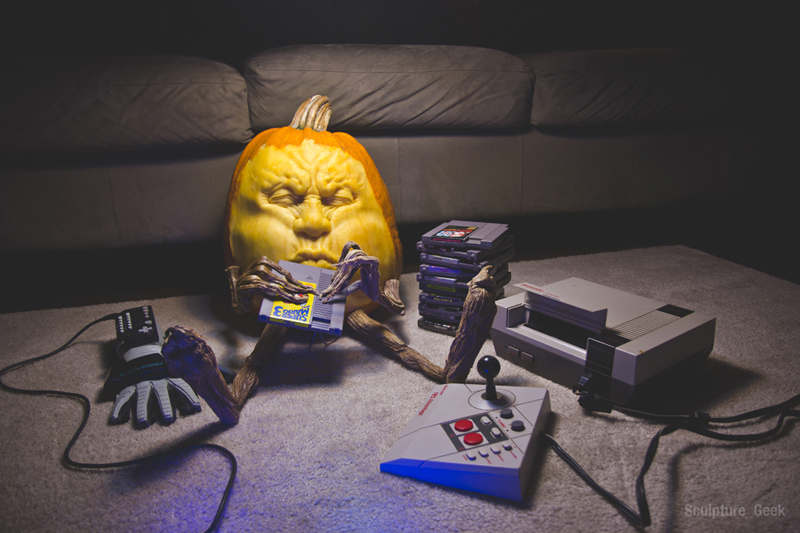 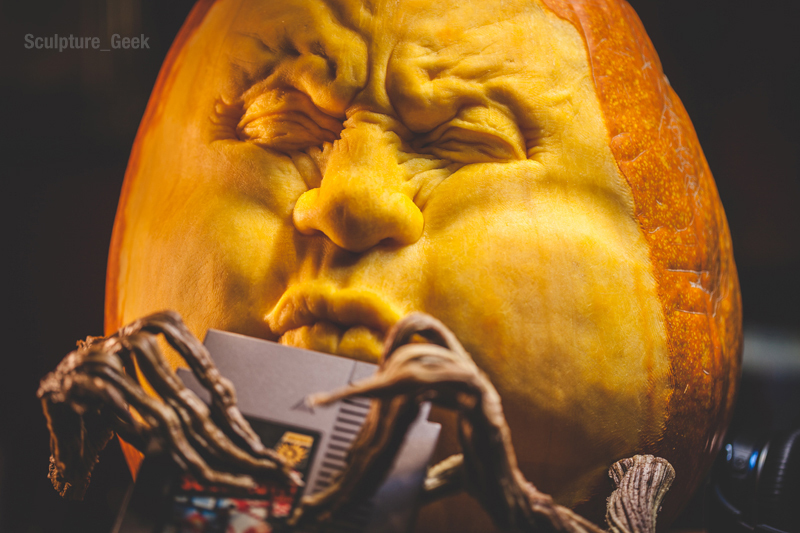 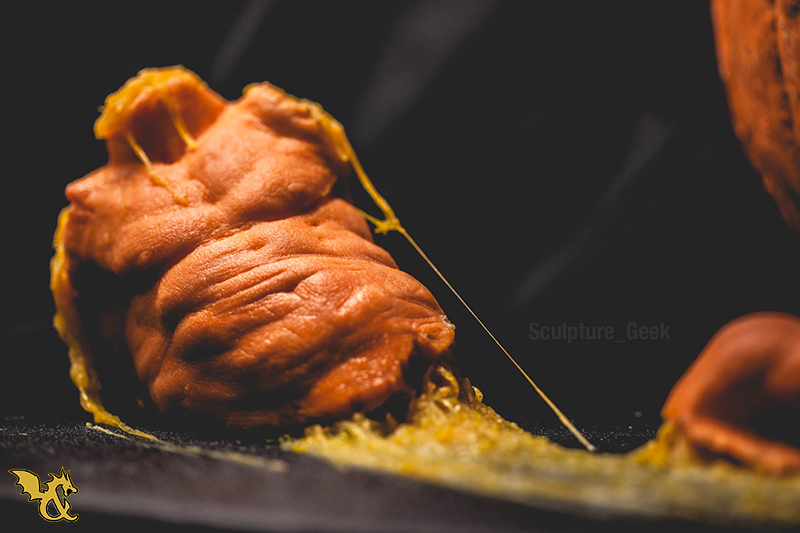 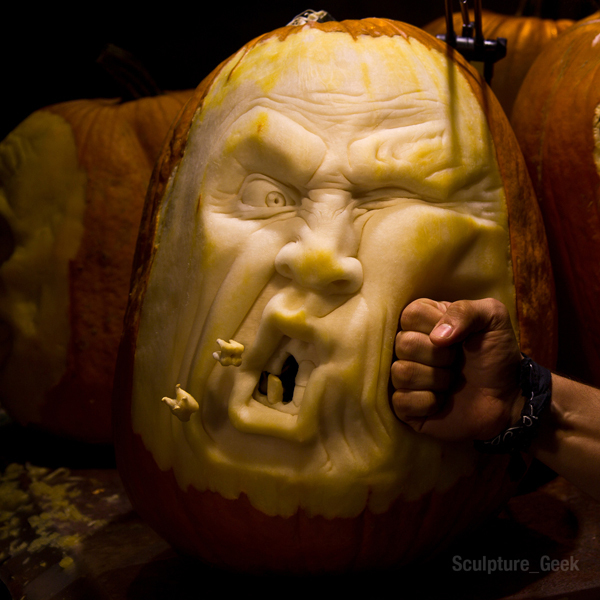 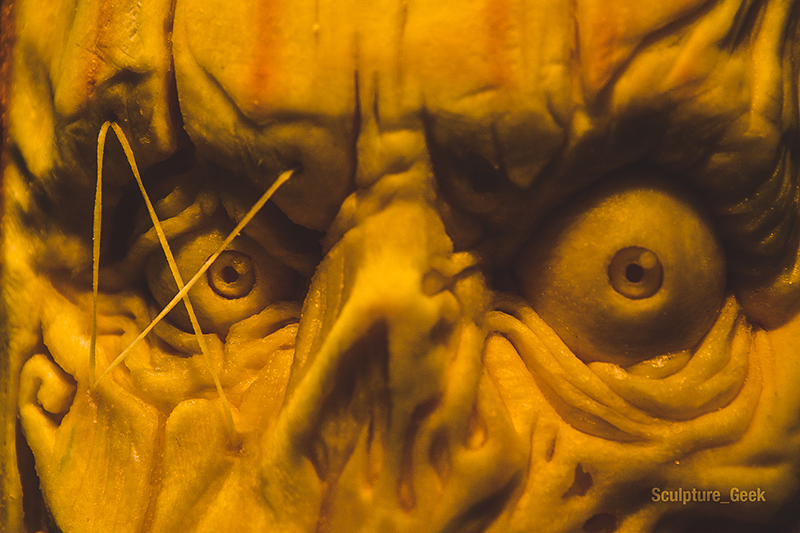 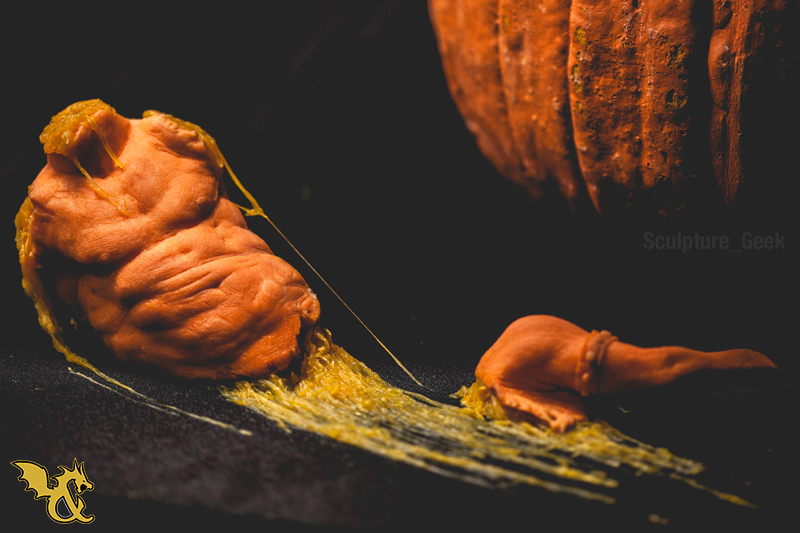 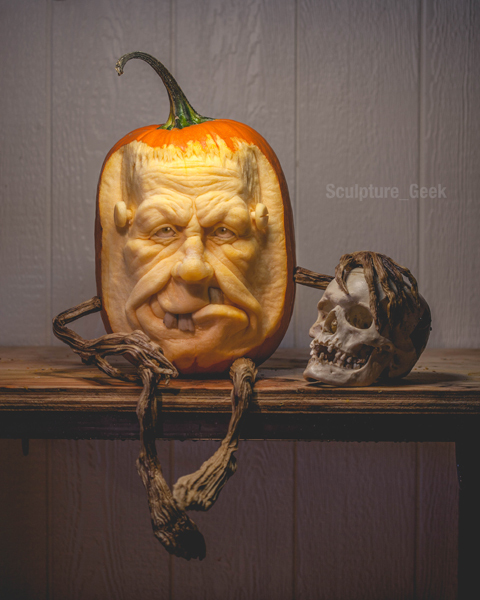 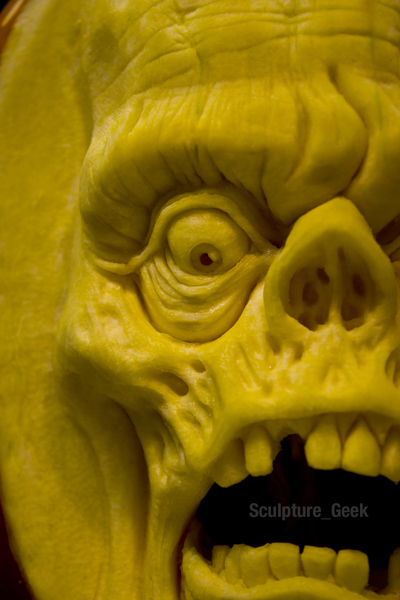 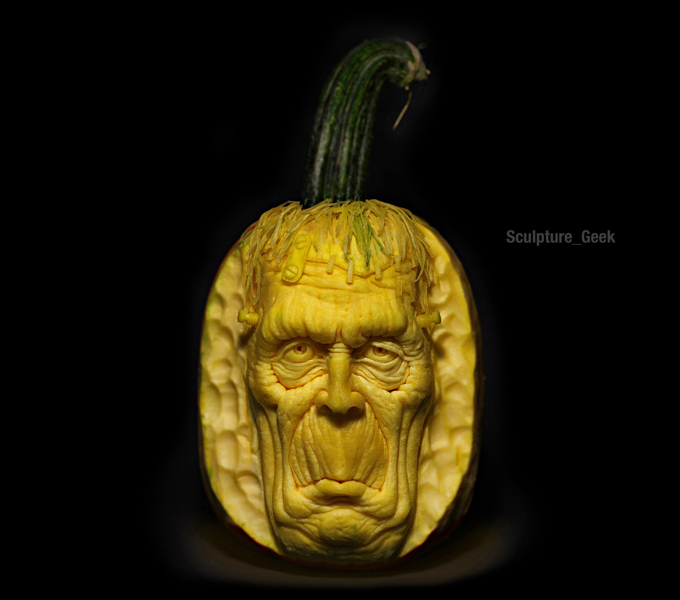 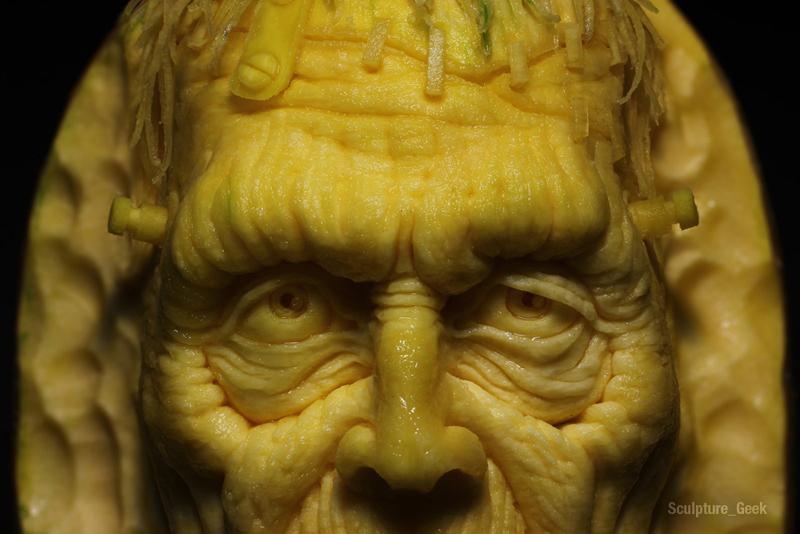 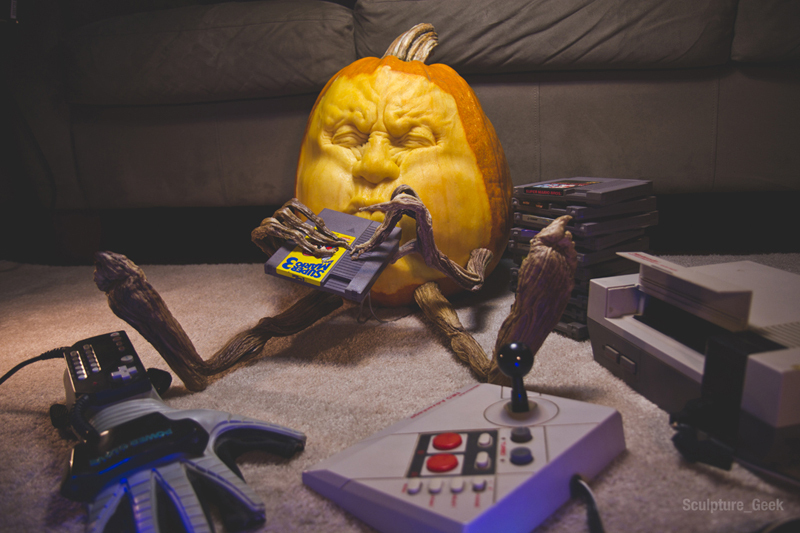 Pumpkin Carvings - Sculpture_Geek Headquarters. 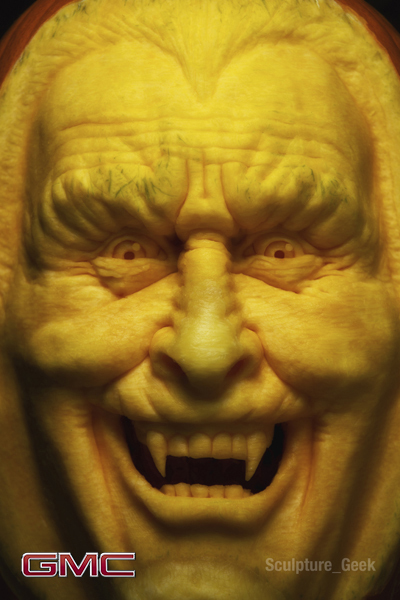 "The Glow of the TV" Pumpkin Carving. 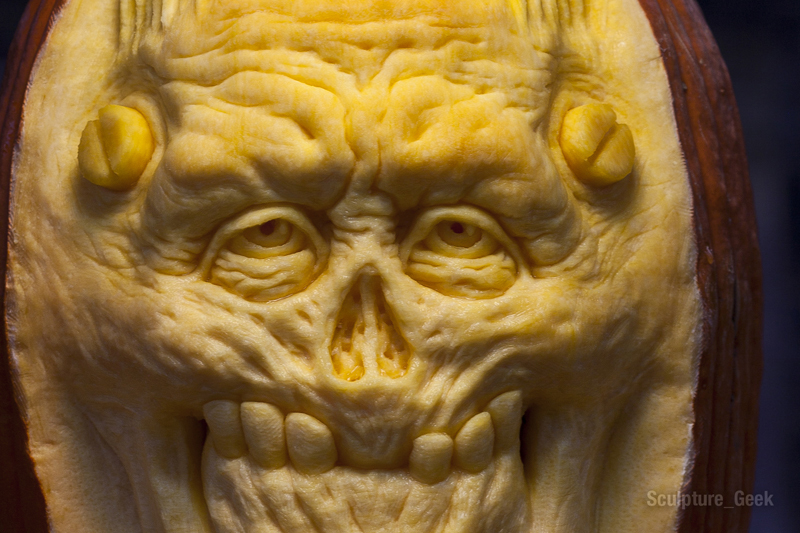 Zombie Pumpkin Carving for Ocean Park in Hong Kong, China. 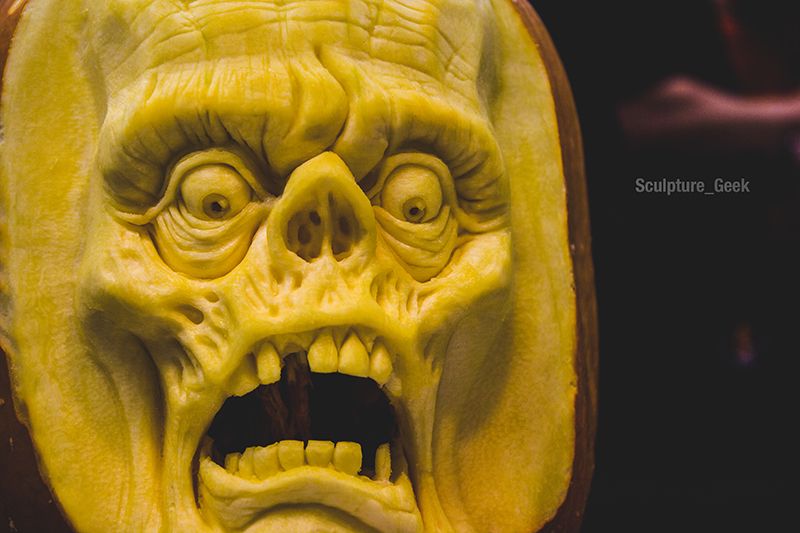 Vampire pumpkin carving for GMC commercial. 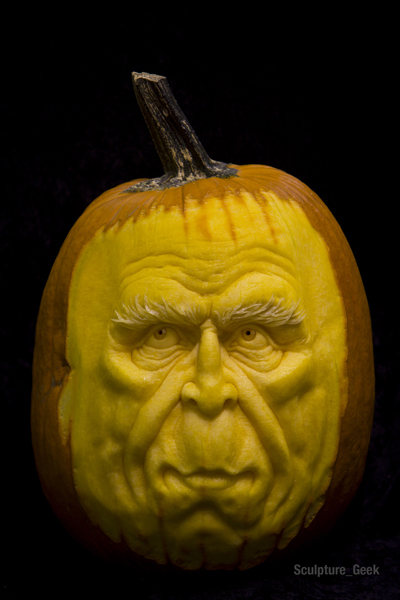 Distinguished face pumpkin carving for Jelly Belly "Bean Boozled" Display. 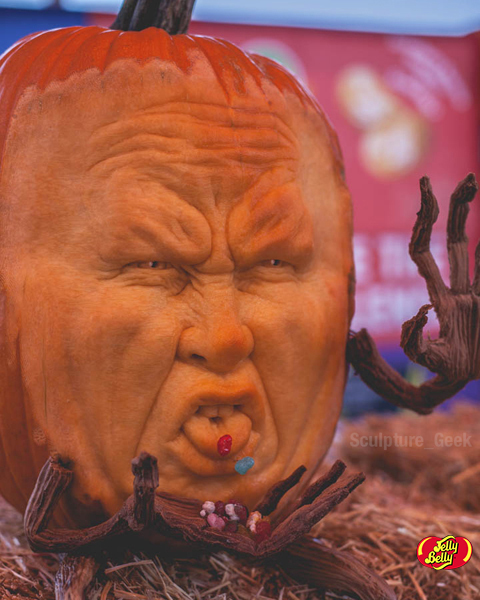 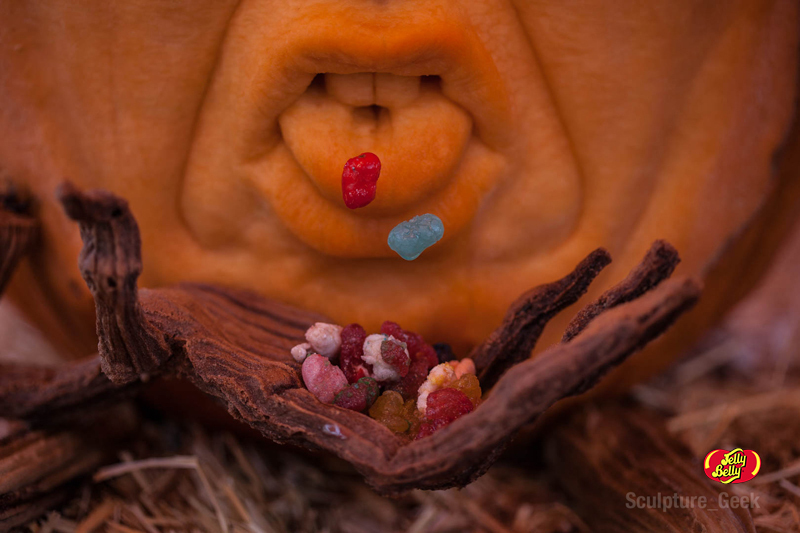 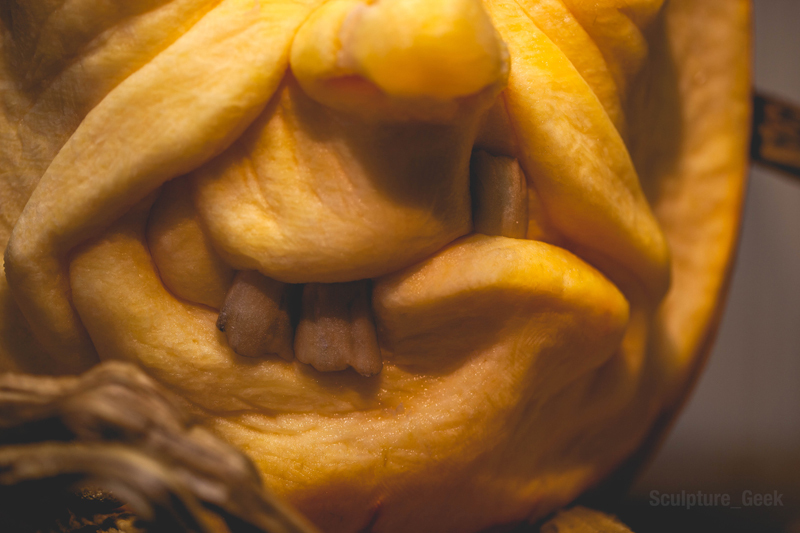 Yuck face pumpkin carving for Jelly Belly "Bean Boozled" Display. 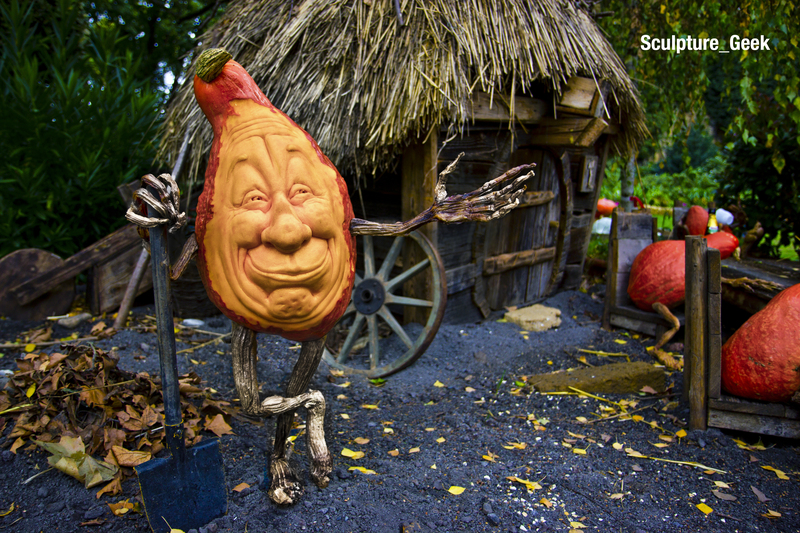 Scarecrow Pumpkin Carving for Ocean Park in Hong Kong, China. 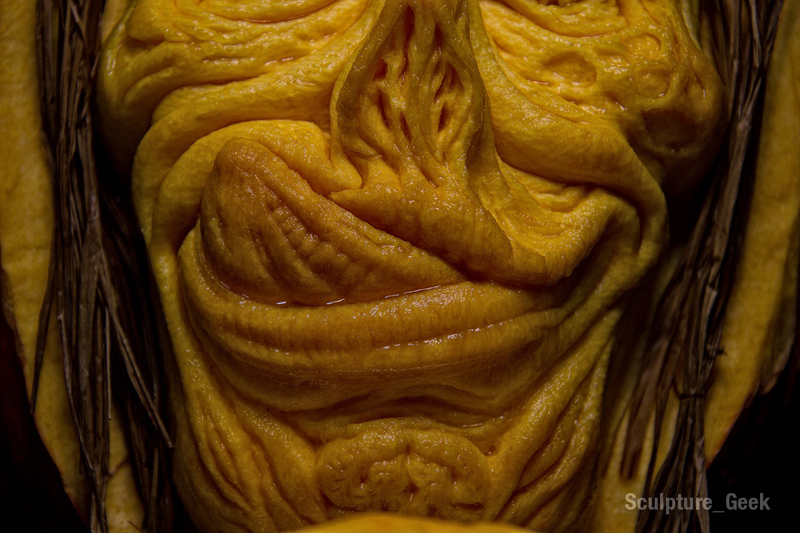 Scarecrow pumpkin carving for Ocean Park in Hong Kong, China carved by sculptor Chris Vierra of Sculpture_Geek. 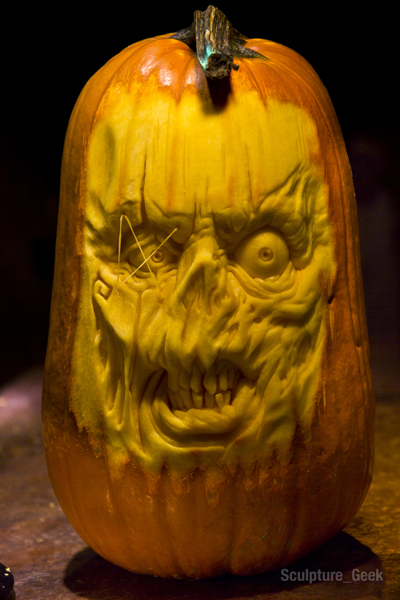 Doyle of the Misfits pumpkin carving. 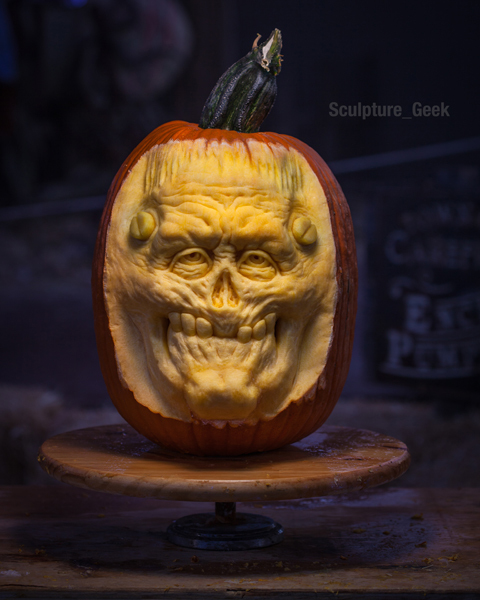 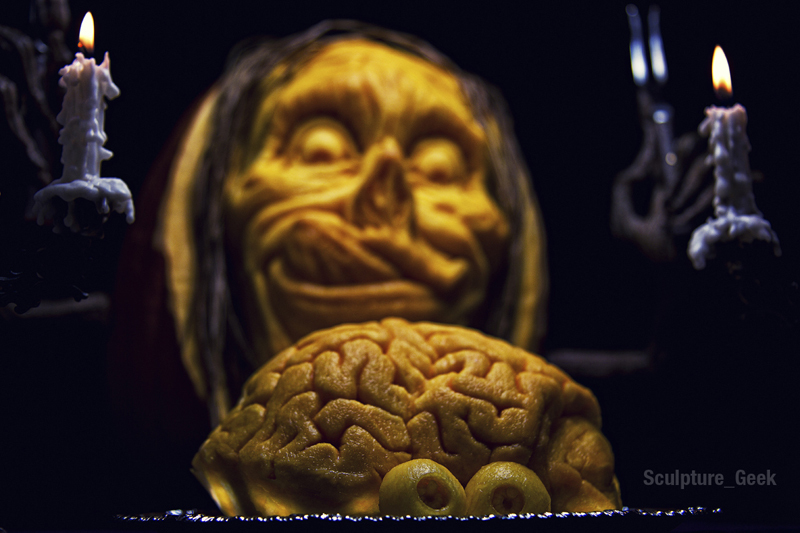 Zombie Pumpkin Carving for Ocean Park in Hong Kong, China carved by sculptor Chris Vierra of Sculpture_Geek. 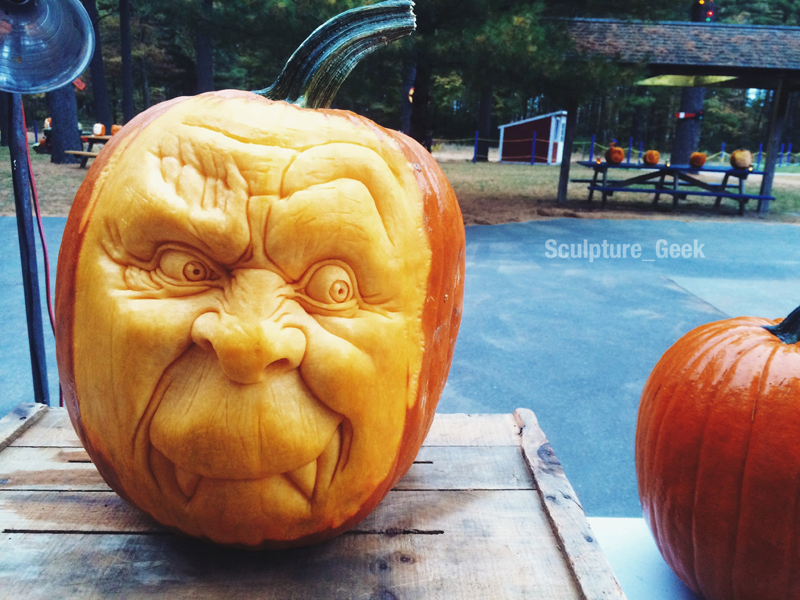 Vampire pumpkin carving for Edaville Railroad in Carver, Massachusetts. 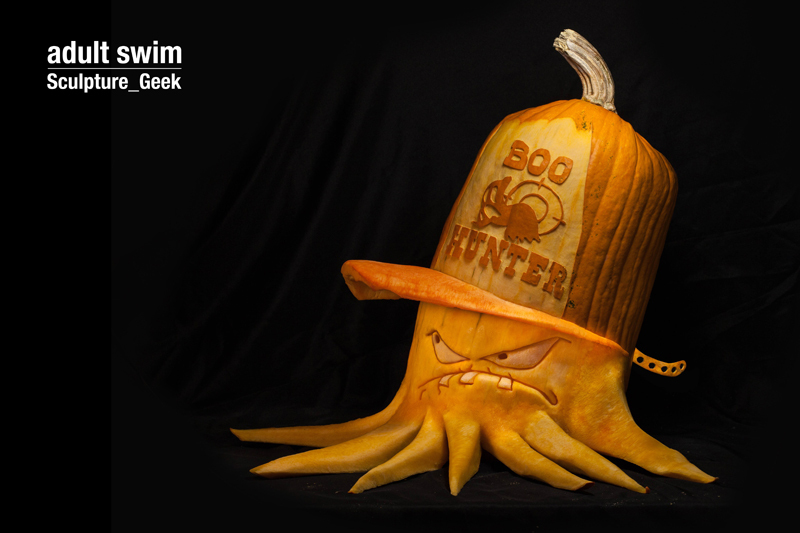 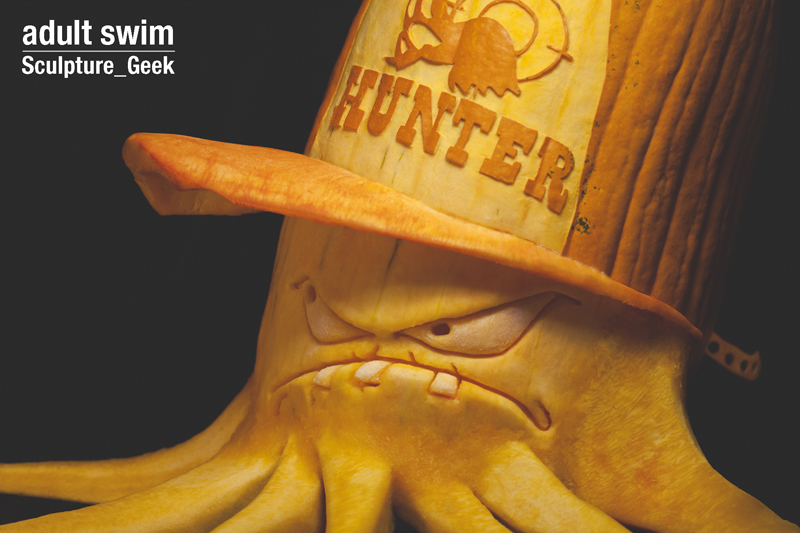 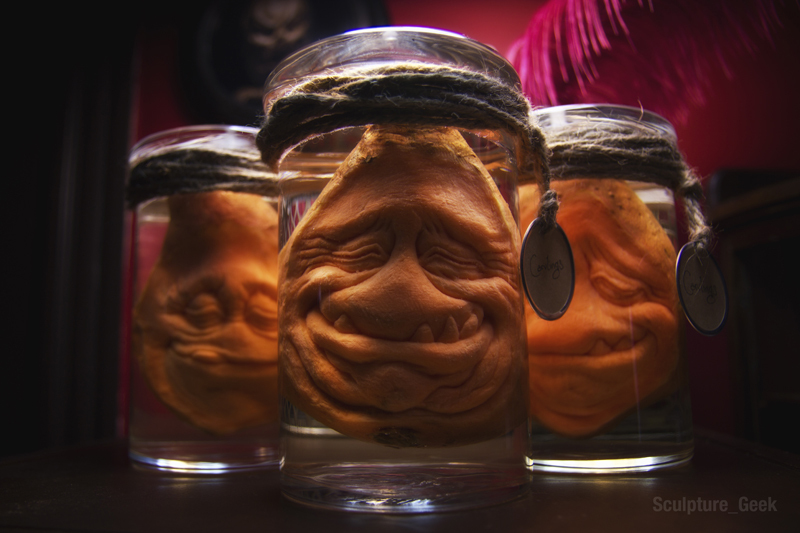 Early Cuyler from The Squidbillies pumpkin carving for Adult Swim. 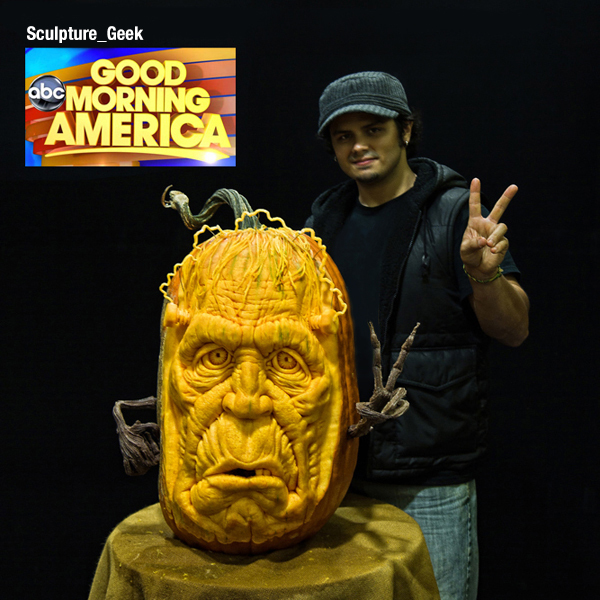 Monster pumpkin carving for Good Morning America. 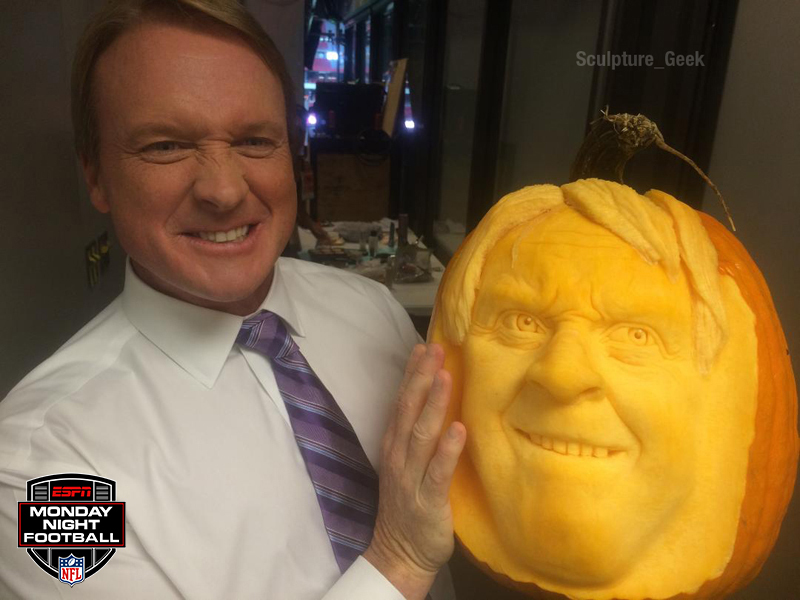 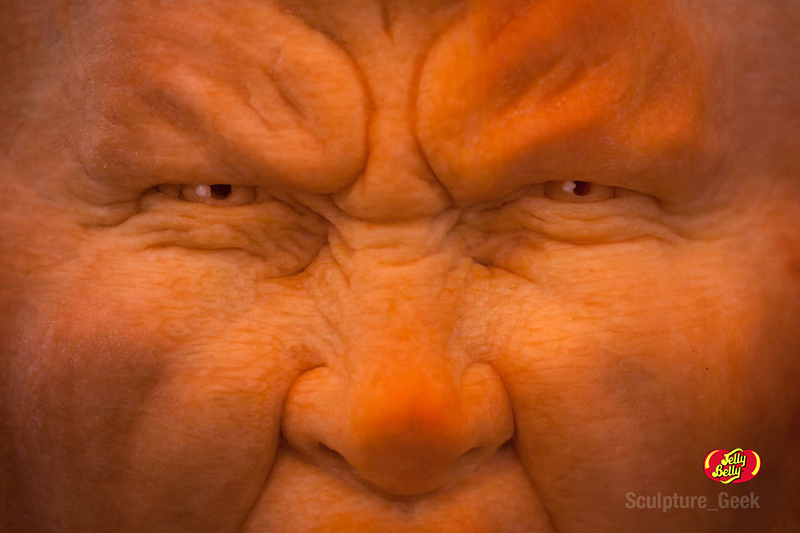 Portrait of Coach John "Chucky" Gruden for the NFL's Monday Night Football. 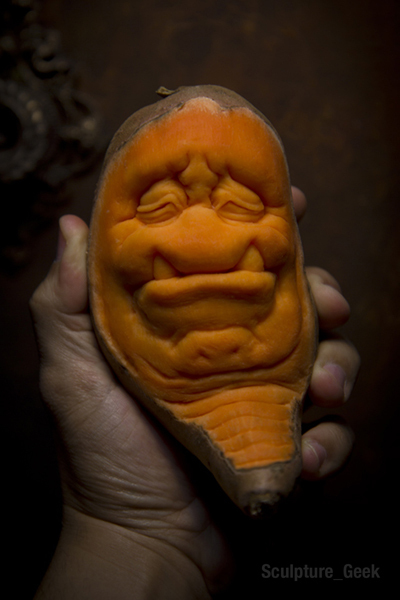 Funny Face pumpkin carving For Ocean Park in Hong Kong, China. 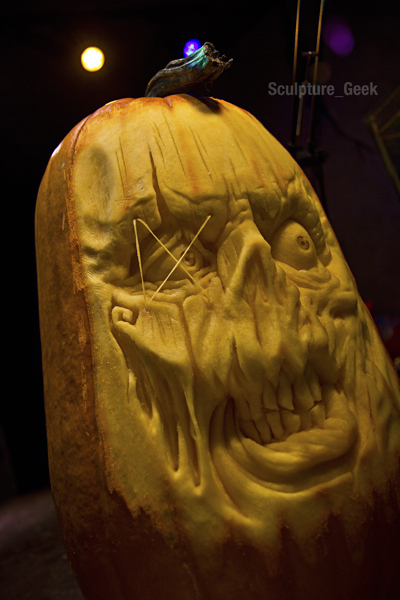 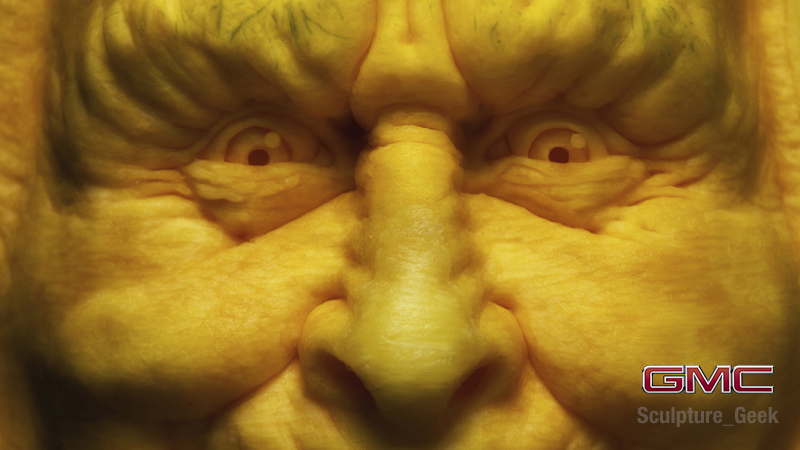 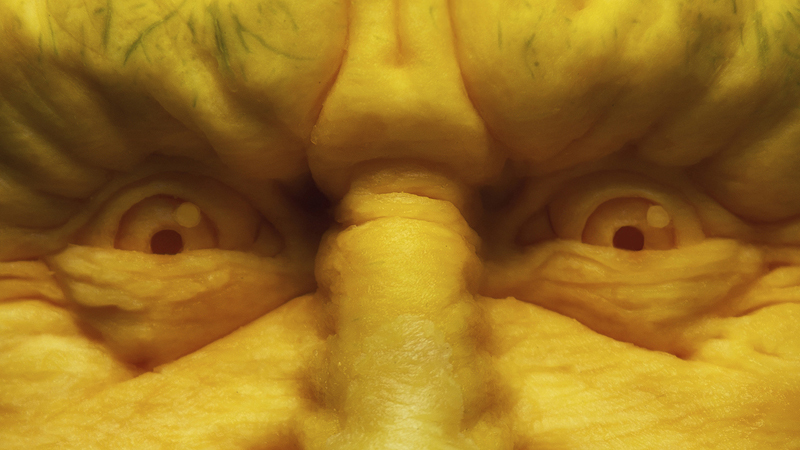 Sweet Potato Carving for Dungeons Plus Magazine. 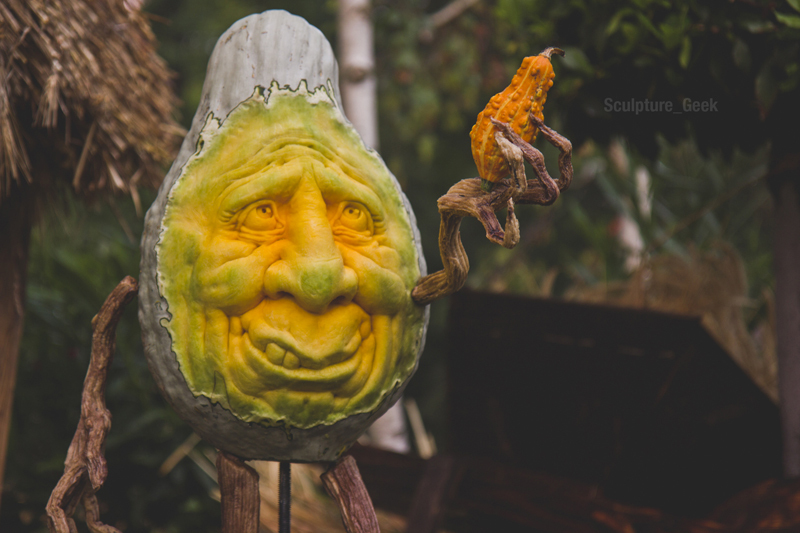 Hubbard Squash Carving at Ludwigsburg Palace Pumpkin Festival in Ludwigsburg, Germany. 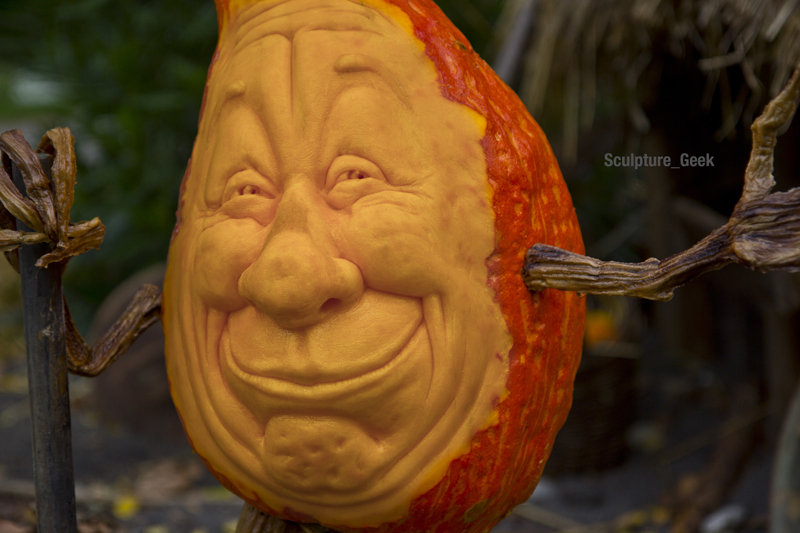 Hubbard Squash Carving in Ludwigsburg Palace Pumpkin Festival at Ludwigsburg, Germany. 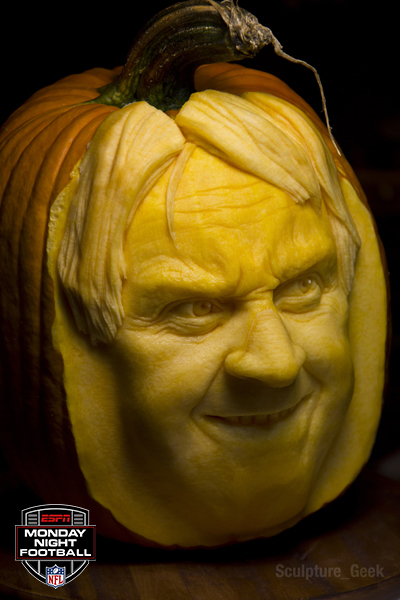 Pumpkin Carving of Marty Feldman for Young Frankenstein Anniversary with Mel Brooks. 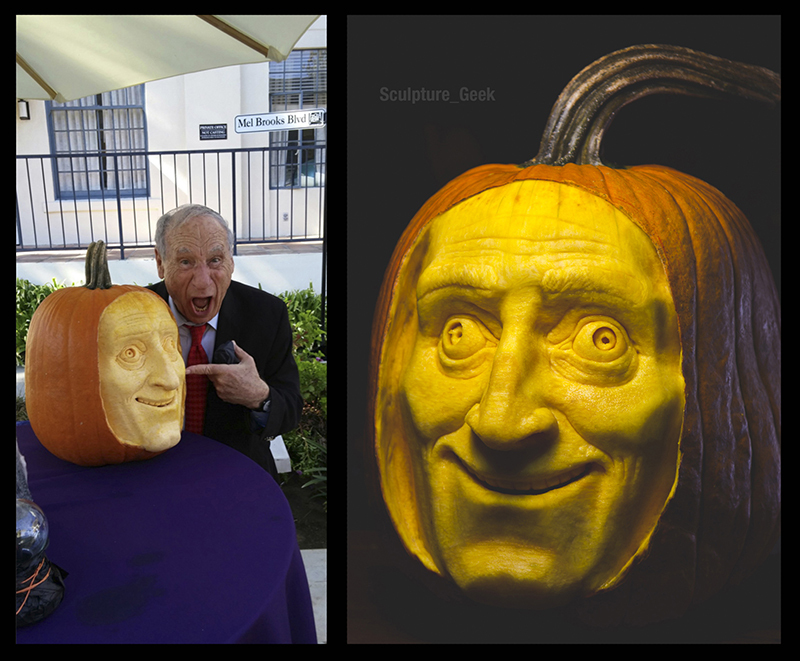 Pumpkin Carving of Marty Feldman for Young Frankenstein Anniversary with Mel Brooks. 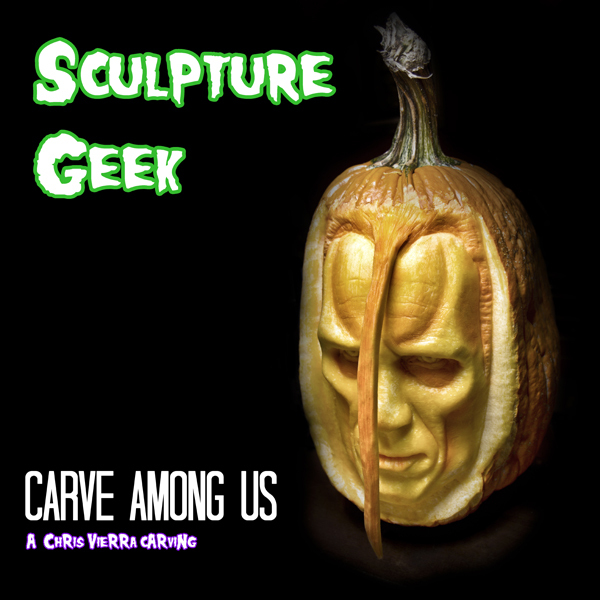 Carved by sculptor Chris Vierra of Sculpture_Geek.